I bought this car with 83k miles on it. It now has 94k miles. It is 15 years old. I have the oil changed every 3k miles. The A/C went out last week, simple fix but winter is coming so I won't bother with it right now. Had to change a control arm. It has a oil pan leak. Other than that, this car runs really good! I think the single most important thing others should know about the Intrepid is that this is a very well built car so it's very seldom in for repairs. The car is very basic, and I personally really like some of the new features I'm seeing cars have. Additionally, for a car it eats gas (only 18 miles per gallon.) Finally, because of all the SUVs and trucks that are on the road the Intrepid sits too low so it's difficult to see. Cannot kill Dodge! Use and abuse, Mopar just lasts! 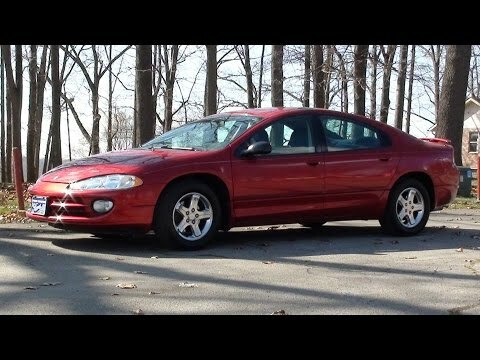 I have a 2003 Dodge intrepid. Bought it used with 100, 000 mi. It has a blown head gasket but this vehicle just will not die. I have really put it through the ringer. It still has plenty of pick up when the pedal goes down. I will always drive Mopar!